Heat up your grill pan to medium-high heat and brush with olive oil. 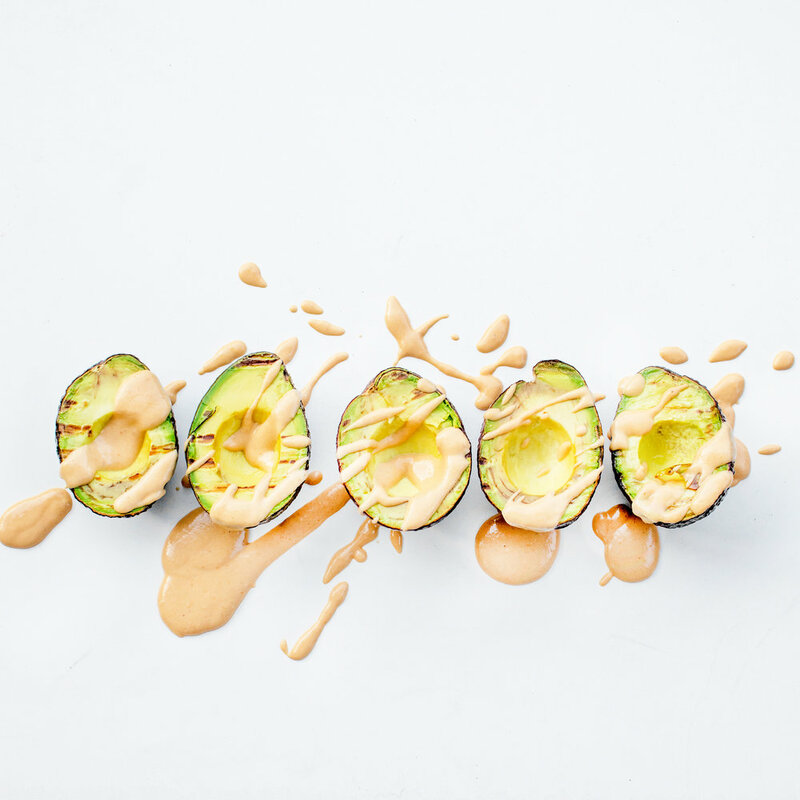 Cut avocados in half and remove pits. Lightly brush the inside of the avocado halves with olive oil. Place face down on your grill pan for about 5 minutes, pressing down occasionally to create grill marks. Use tongs to remove from the grill and drizzle with Nacho Style Dip. Enjoy!